I think the picture is misleading. The chocolate actually oozes out of the cake when you cut into it. 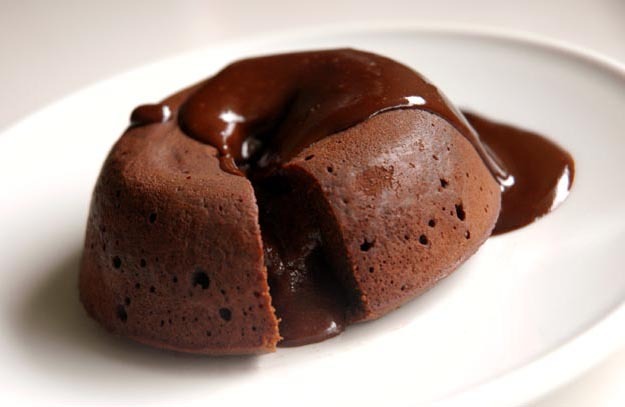 Because this was also topped by a separate chocolate sauce, it looks like it drops from the top. 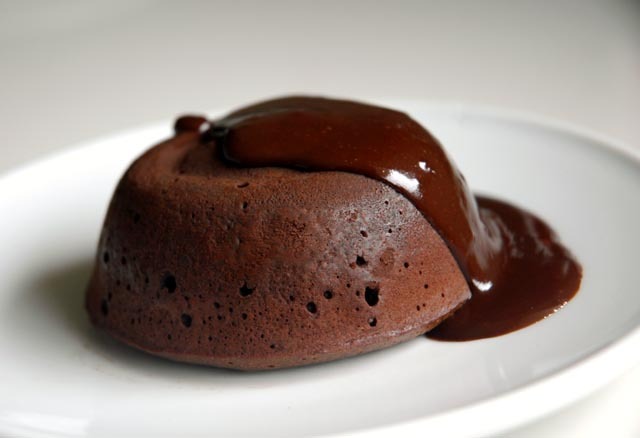 Actually, the sauce on top can be replaced with cream to create more contrast, as the melty chocolate inside the dessert should be sufficient. I encourage you to try this recipe as it's very easy, it can't go wrong and the results are amazing!